Every great meal starts with a great recipe! More importantly, every great recipe can be tweaked to your liking. Over the years, that’s exactly what my friends and I have done. Think about it for about a minute. Who hasn’t tried great dishes and said “Oh My God!, can I have your recipe please! ?” Then find ourselves attempting to make the dishes while also putting our own twist on the dish. I developed a sort of “trial and error” approach for whatever recipe I was attempting. This would continue (sometimes for years) until I got my version right. The final versions of the recipes, I LUV, end up here on the website to share with everyone. I didn’t want to stop there though. I started thinking, it doesn’t matter how many recipes you have. Whether they’re from old family recipe books that have been passed down through the years or from just experimenting in the kitchen one day. There is always another great recipe out there. I wanted a way for everyone to share the recipes they absolutely LUV… with everyone else. This web project started when a couple of friends wanted to share their recipes with one another. It was that simple. 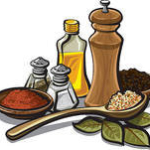 There didn’t seem to be a good place online where a person could build their own little “cooking corner” of the internet and share their culinary creations with friends. That is, without setting up a blog (web hosting and all, if needed)… or the other route of taking pictures of food and posting on some social media site. There’s a place for all that to be sure but we wanted an online spot where our personality and cooking style could shine through in our recipes together as a community. A place where a person could connect their friends and family to their own “cooking home page”, all while using their preferred social media outlet. Equally important, we wanted the ability to share and network with any (and as many) others who may be interested in our cooking style or repertoire of recipes. All that bundled together in a community that felt the same as we all do. After all, who doesn’t like tweaking a recipe? We’ll stipulate that there are plenty of websites where you can get a recipe to make biscuits. We’ll even agree there are message boards that will give you advice and give you their secret ingredient to make your biscuits really kickin’ instead of limpin’. However; anyone who knows biscuits knows that Auntie Bea’s biscuits aren’t any “old run of the mill”, “same ole same ole”, “common cloned” biscuit recipe from the side of a box. Maybe it started out that way… but Auntie Bea tweaks, tests, and has honed that recipe to perfection over the years. What is Bea’s secret ingredient? What’s her process that makes them fluffier than the dense hockey puck recipes you get off the side of some flour package (or the internet)? To further that thought a second; why isn’t there a place where Auntie Bea can share that recipe or secret with her friends and family (or anyone else for that matter). Maybe those who want to know how to make fluffier biscuits. Why can’t Auntie Bea build her own little corner of the internet or have an online “Recipe Box”? One that displays in her online profile and shows her own personality and cooking style. 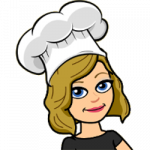 Auntie Bea’s own personal hub where she can link her favorite recipes, her favorite chefs, and her favorite food websites from around the internet. Even a place where she can share other food profiles she may have on other websites. LuvMyRecipe.com was born. We are a growing community… if you’d like to become part of our community you can register here and begin to create your own little “cooking corner” on the internet right here at LuvMyRecipe… Welcome ! 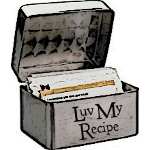 Check out the LuvMyRecipe Blog for progress forward and update information regarding the LuvMyRecipe website. If you have a question, suggestion, comment or need to contact us for whatever reason, feel free to contact LuvMyRecipe here. Thank you for the time and patronage.